Yellow Brick Road Ainslie Branch Principal and Wealth Manager Michael Bysouth has made it his mission to help Canberra residents achieve their dreams of owning a home and retiring comfortably since opening the very first branch in the region in 2012. 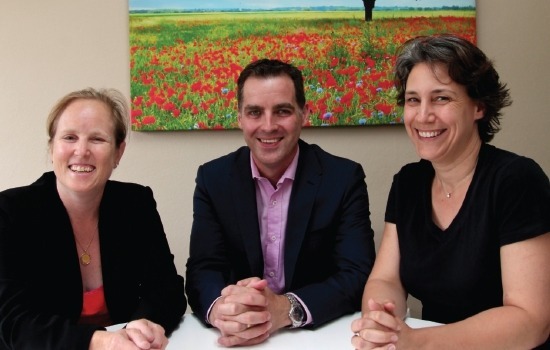 Yellow Brick Road is a full service wealth management company founded by Mark Bouris, and YBR Ainslie provides local residents with a full array of products and services including home loans, superannuation, financial planning, insurance, and term deposits. “We provide a very different approach to financial management; one that caters to the preference of Canberra residents for a personalised approach to their finances. At Yellow Brick Road we believe that everyone has the opportunity to succeed financially whether you want to own a new home, new car, or create a savings plan for the future,” Michael said. For the two decades prior to being a mortgage broker and financial adviser, Michael served in the military and then worked at his own private wealth management company before joining Yellow Brick Road. Michael said it’s great to be back in his hometown and involved in the community while raising his four young children who attend North Ainslie Primary/ Pre-school. “The people of Canberra are working hard, making sacrifices to support their families and yet without the right assistance, they may not get an opportunity to fulfil their financial goals and dreams such as buying a home and retiring comfortably,” he said. To book a free consultation to get your finance questions answered, contact Yellow Brick Road Ainslie on 02 6248 8128 or visit us at 13B Edgar Street, Ainslie.